Your Wealth Zone determines whether or not your financial future will be abundant. Which Wealth Zone are you in? Ask yourself. Do I have enough to retire? Have I hit “my number”? Will I run out of money? Am I financially independent? Did I save enough? Do you feel fear and uncertainty? Many of us have an image of what it is we fear: being old and getting evicted from a smelly apartment. Or not having enough money for decent food. It is a deep dark fear that many of us harbor. That fear may keep us working longer than we would like. Longer than we need. So how do we know how much is enough? If you start poking around the internet, you will hear a near-universal response: Use the 4% rule. It is the most quoted rule of thumb for how much money you can safely withdrawal from your portfolio. A million dollars in stocks and bonds would provide $40K for your first year of not working. That is 4% of $1M. You can then increase the 40K based on the inflation rate. Or you could go at it in the opposite direction. This direction is more useful since it tells you how big “your number” needs to be. The 4% rule implies that you will need 25 years of expenses. If you need to cover $40K of expenses each year you would need $1M ($40K x 25). But does everyone need exactly 25 years of expenses (YOE)? Likely not. Some need more and some need less. A 55-year-old woman will need much more than a 75-year-old man. It doesn’t seem that they both need 25 years, right? Also, it is a little inaccurate to call it years of expenses (YOE). With investing the money will last longer. Instead, I will call it your Spending Multiple (SM). I reproduced some of his data in the tables here. To use this, you need to know how much you spend each year. The question is: If you stopped working today, for how long could you live off the money you have? Is it 25 years? (e.g. Portfolio value / annual spending = 25). If so, you may be ok (using the 4% rule). Otar divides your status into zones. I will call them Wealth Zones. 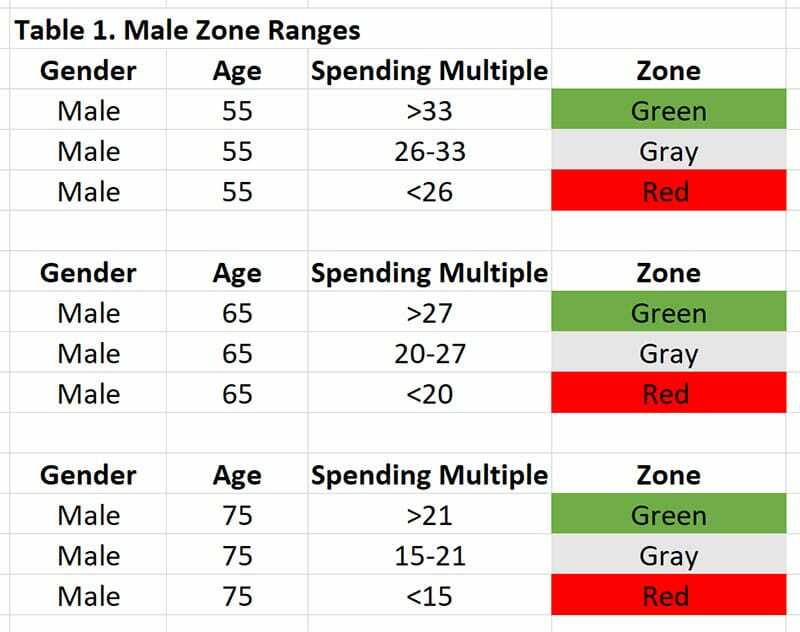 If you are in the Red Zone, you don’t have enough money. If you are in the Green Zone, chances are you will be fine. The Gray Zone is in the middle. You risk running out of money without changes or a careful strategy. Figure out which Wealth Zone you are in. Red, Gray, or Green. Let’s practice this concept with a few examples. Let’s say Dr. Modesto is a 55-year-old male who spends 88K per year. He has $3M in his portfolio. After 25 years of clinical practice, he feels burned out. How much longer will he need to work? Since he has $3M and spends $88K, his Spending Multiple (SM) is that ratio. Divide the spending into the total portfolio value. That is $3M divided by $88K. $3M/88K = 34. So, his SM is 34. Is that good for a 55-year-old male? What Wealth Zone is that? We look at Table 1 for the answer. The cut off for the Green Zone is an SM of 33 and he is above that. He is in the Green Wealth Zone and can stop working whenever he likes. What a pleasant surprise? He may choose to phase into semi-retirement with part-time work. Or he could stop working completely. He has options. Dr. Grey is a recently divorced 64-year-old OB-GYN. She hopes to retire next year but fears running out of money. She doesn’t want to make the mistake that a friend of hers did. Her friend Mary retired in 2000. After stocks declined Mary needed to return to work. Dr. Grey knows she can’t live on social security and she has no pension. Since she has no one to provide for her she is afraid of outliving her money. Can she take money out without risking everything? Should she work until 70 instead? Although she still likes patient care, her call nights are becoming unbearable. She doesn’t bounce back from being up all night like she did when she was 30. So what Wealth Zone is Dr. Grey in? Her accumulated nest egg is $3.9M. Even after the divorce, her lifetime of surgery and office work has served her wealth well. It is a lot of money. Still, she enjoys spending money. Nothing wrong with living well, right? Currently, she spends $150K per year. She expects to spend less on work expenses and health care. Travel and hobby costs will go up. On the whole, she may still spend the same amount per year. She has $3.9M. Each year she spends $150K. Her SM is that ratio. Divide the spending into the total portfolio value. That is $3.9M divided by $150K. $3.9M/150K = 26. So, her SM is 26. Over 25 is good, right? But is that good for a 65-year-old woman who likes to spend? What Wealth Zone is that? We look at Table 2 for the answer. Her SM of 26 places her in the Gray Wealth Zone. She has a big portfolio but there is still a risk when factoring in her gender, age, and spending. She may be okay with a good strategy (e.g. annuitize some of her assets). Or she may want to drop OB and continue a part-time GYN practice for a couple years. Working a few more years part-time would push her into the Green Zone. Dr. Rubor is a 75-year-old pediatrician. He still loves his work. He works slower than he used to and needs more recovery time. So he downshifted to part-time at 65. His wife thinks it is ridiculous that he keeps working at this age. Everyone they know retired. A few of their best friends recently passed away and she thinks they have more than enough money at this point. He isn’t sure they have enough. Is he being a fearful worrier or a workaholic? He is proud of that but also not sure if it is enough. If he passes away will his wife be able to live with assets until age 90 or 95? A million bucks aren’t what they used to be. He started tracking his spending for a few months since he had no idea how much they spend. It was about $10K per month. He doesn’t see that changing anytime soon whether or not he continued to work. He has $2M. Each year they spend $120K. Their SM is that ratio. Divide the spending into the total portfolio value. That is $2M divided by $120K. $2M/120K = 17. So, their SM is 17. Is that good? It sounds low, but then again, they are 75 and have 2 million bucks so they might be okay. What Wealth Zone is that? We look at Table 3 for the answer. The SM of 17 places them in the Red Wealth Zone. Even though they have a large portfolio there is a significant risk of running out of money. As a couple, they can now have an informed discussion about the role of work, wealth, and financial risk. The concepts and data here are all from Jim Otar’s excellent research. I simplified the terminology from his 500-page book and provided the examples. What is Your Wealth Zone? If you are in the Green Zone, you are set. The Red Zone indicates there will be trouble ahead. The Gray Zone means you likely will be okay with a great strategy and careful planning. Here is some more helpful advice for members of each zone, thanks to Jim C. Otar, CFP. None of us know how long we will live. That makes the question about running out of money a bit tricky. Several important factors determine your Wealth Zone. The keys are your spending and withdrawal rates. Based on historical rates we can see how likely you are to run out of money. Step 1. Calculate your Wealth Zone. Step 2. Pick a Wealth Zone Strategy. • Congratulations, your wealth is abundant. • You are in the best zone. • Almost any income allocation strategy will work. • Nearly any withdrawal strategy will work. • Your money management skills are good. • Financial disaster risk is low. • Your portfolio can finance your retirement. • Time-value of fluctuations risk will not destroy you. • Money reserves are abundant – enough to cover longevity, market, and inflation risks. • Focus on future dreams rather than fears of running out of money. • Assets will grow rather than diminish. Think about your estate and charitable giving plan. • If you are at the border of the Gray Wealth Zone, consider long-term care insurance. • Every year conduct a review. Look at your budget, portfolio performance, and income allocation strategy. • Focus on the tax bite, rather than your portfolio expense costs. • You have enough, but you must be careful. • Expect a lifelong income, but you must export the risk. • Funds are not enough to cover longevity, market, and inflation risks. • Export these risks to an insurance company. • Your money may grow or shrink. Only time will tell. • Avoid expensive or complicated investments. • To leave an estate, buy life insurance. • Buy long-term care insurance. Cover the costs of your final years. • At least once a year spend an hour reviewing. Look over your income and spending, investment returns, and risk levels. Are they still appropriate given your current life and family? Get out of the Red Zone or this could be you. • I’m sorry to tell you, but your wealth is insufficient. • The Red Wealth Zone is the worst zone. • You are not alone. The average baby boomer is in this Red Wealth Zone. • Your portfolio cannot finance your retirement. • You have no reserve to cover longevity, market fluctuations, or inflation risks. • Trying to fund your retirement with investments will diminish your portfolio. 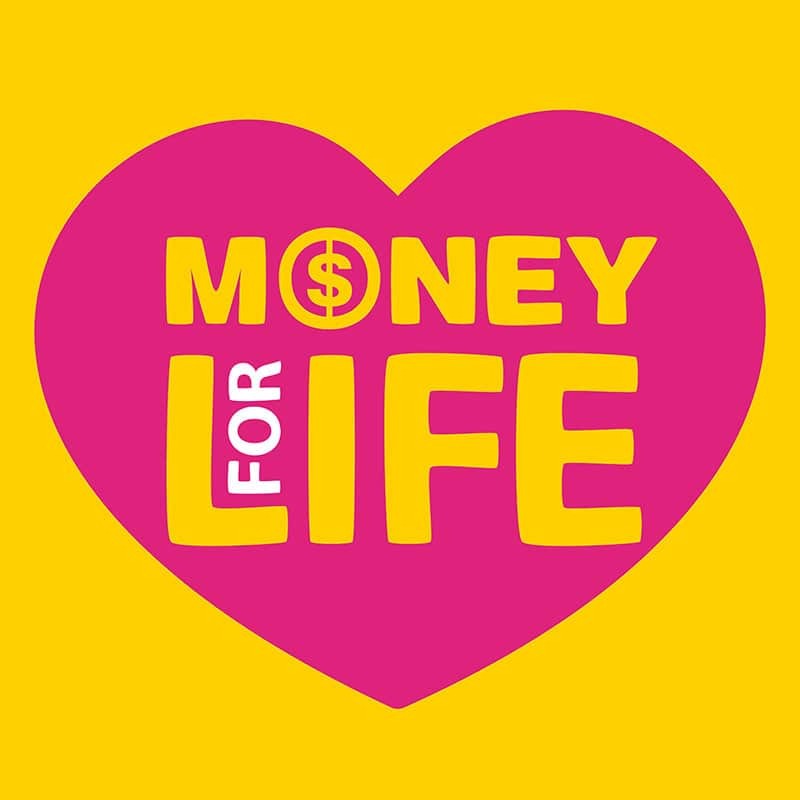 Most likely you will run out of money before you die. • Don’t count on having any money left over for your children or beneficiaries. • A few extra years of accumulation can mean all the difference. • Cut back your expenses. • Export the risk to an insurance company. • Consider annuities. It may be your only hope. The Red Wealth Zone is indeed a bleak place to end up. Take action now to ensure that won’t be you. 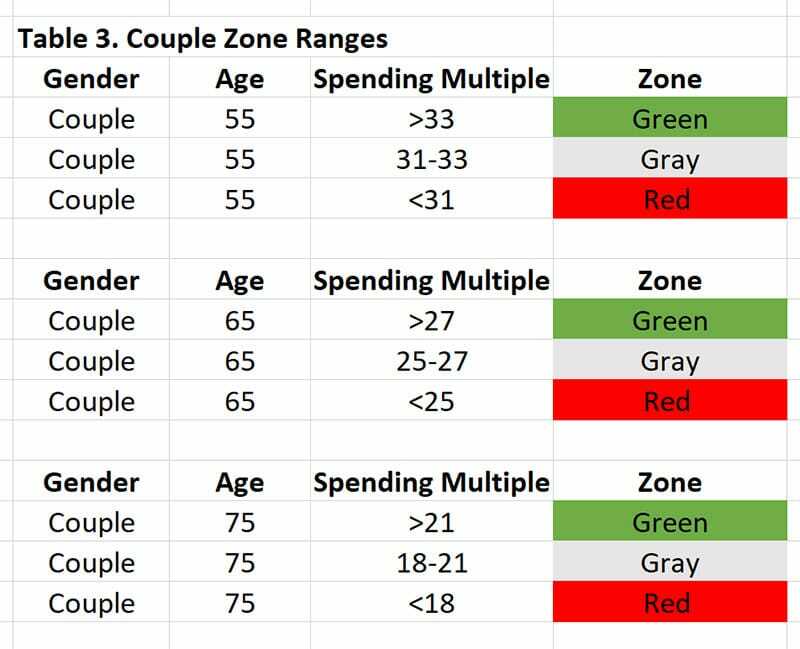 Calculate your Spending Multiple (SM) and determine your Wealth Zone. Then review the strategies appropriate for your Wealth Zone. What do you think of this Wealth Zone Strategy? Will you be in the Green Wealth Zone at retirement? Do you still fear running out of money? I’m glad you resurrected the Wealth Zone post from your prior website as it was one of my favorites and conveys a great concept. 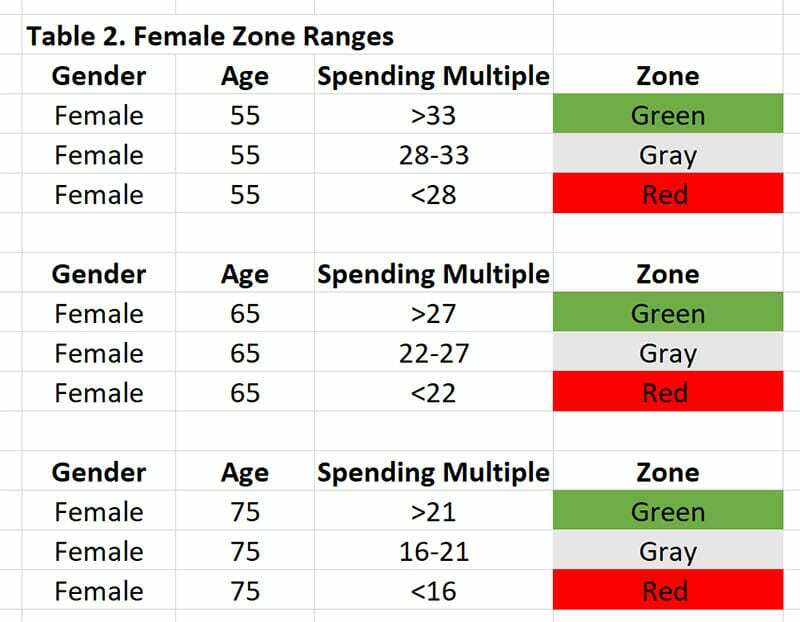 The best part of it is it intakes into account gender and age to project longevity rather than just using a 25x generic guide. I’m glad you liked it. I’m trying to recreate and improve some of the ideas that I wrote about but are no longer accessible. I think the 4% rule is a decent rule of thumb. But when it comes time to actually make specific retirement plans, more detail is needed. Either a financial planner, Monte Carlo analysis, or tables like these based on historical data can be helpful. If Otar had to pick a single rule for everyone he may choose 3%. To my knowledge, he hasn’t picked a number since he would see it as an oversimplification, but based on his tables early retirees have better odds at a 3% withdrawal rate. Still, in practice, most early retirees end up working or doing a hobby that makes some money or they have a spouse that makes money at some point. Or the market does better than expected. Or they spend less than they thought during a few years. All that combines to make the 4% still a decent starting point. Just realized it ideally should be tailored to the specifics. From my perspective it’s a more granular analysis. In retirement you don’t just set some number like 120K/yr or 150K/yr. If your accounts are in TIRA or 401K you own only part of that money and the government owns part. At age 70 the government will start to take it’s percentage on it’s schedule something called RMD. You will not have control over RMD but will have to take an ever increasing % out of your retirement savings and the more you take the greater your tax burden will be. When you die your wife will file as a single but RMD will continue and her tax burden will be worse than when you were a couple. You only get to keep what the government says you can keep so you better make sure you and the government are on the same page. In addition Red Gray Green ignores Social Security. The pediatrician actually has far more money than he appears to have. At age 70 he started receiving SS and his wife even if she didn’t work is receiving about half of his full retirement age SS. So their net SS may easily be $50K or more at age 75 leaving a deficit of only 70K/yr to be covered by the 2M, a much easier nut to crack. 70K/yr is a SM of 27 on the 2M nest egg. In addition SS is taxed at only 85% so his tax burden will be less meaning his take home will be more. In addition SS is inflation adjusted. Finally the longevity of a retirement portfolio is set by Asset Allocation with the allocation of somewhere around 50/50 to 60/40 in a total US stock/Total US bond portfolio being ideal. A 2M portfolio inflation adjusted in 60/40 stocks/bonds and removing 70K/yr inflation adjusted has a 99.03% chance of lasting 30 years. Even if they cut SS 25% (raising the WR on the 2M to 80K/yr) the portfolio survival is 97.27% and the doctors age would be 105. The OB/GYN with 120K/yr spending and 35K/yr SS and a 45 year time horizon and the same 60/40 portfolio has a 98% chance of her money lasting. The first guy isn’t even worth calculating with 3M and 30K SS on a 88K/yr spend rate even at worse case 10% bad SOR he will die at age 100 with 28M in the bank. I could go on about the granularity but all of these folks are far richer than they appear at first glance. One thing to note about the 4% x25 rule is it was centered around a 30 yr retirement and a 50/50 portfolio. Start messing with those assumptions like moving to a 80/20 asset allocation or a 50 year retirement and it becomes completely invalid as a rule of thumb. Thanks for your detailed and thoughtful comment. As usual, you raise good points. Responding to all of your points would take a whole other blog post. I will let our readers just consider it all on their own for now. It’s interesting to try to make broad “4% rule” generalizations, but as the comment above illustrates, what about taxes? One can’t just divide the pot by how much you “spend” every year without taking taxes into account. Second, how much might one spend in retirement? It will be vastly different than one spends when younger, and funding college costs, various insurances, and retirement itself. And one might spend much more early in retirement than later when traveling gets difficult. How would you address these issues? Thanks for the excellent comment and questions. None of this is meant to be a complete substitute for more detailed and individual work on a computer or with a financial planner. Still, I think most of us can estimate the “right ballpark” on our own. I certainly didn’t invent the 4% rule. I never would have. But it won’t go away. It tells me that people are craving simplicity when figuring out how much they will need to support themselves without working. This post with the tables is my attempt to make a model that fits the most common situations better than a 4% across-the-board generalization. People are terrified of running out of money and they need some knowledge and assurance that they are in the right ballpark. Some expenses go up and others go down. Those often cancel out. If it is too detailed or complicated, people will tune out or not implement it. Fortunately, retirement planning can be simplified. I’m not sure expenses and spending in retirement are “vastly different.” It may go down for some. Jim Dahle of WCI talks a lot about this. But it isn’t always the case. Some expenses go down but others (like travel and health care) often go up. My in-laws are almost 80 but they have traveled around the world in recent years. They have a boat, ipads, and iPhones and spend quite a bit. And they should. They can afford it. They could scrimp and save but they did enough of that for decades and they can and should spend more. That isn’t uncommon in my experience. As far as modeling your future finances, you can base it on either current pre-tax income or on after-tax spending. Tax is really just another expense. Although it is a big expense it is still an expense. Here is where adjustments come into play. Do you expect work-related commute costs to go down after stopping work? How about kids’ clothing? And mortgage payments? We estimate any big changes in those expense categories. You can do the same with taxes if you have a handle on whether they will go up or down. I can try to model taxes but I doubt my predictions will be very accurate. I think tax rates will increase in the future. They should if you follow the math of our economy. But sometimes politicians are very good at kicking the can down the road and spending like there isn’t a problem. So, I could be wrong about future tax rate changes in my lifetime. You are right that too many ignore the tax factor. If I spend $160K per year and have a 30% effective tax bracket I would need $229K a year pre-tax. The 4% rule implies I would need $5.7M or $7.5M using the more conservative 3%. Scary numbers. Another approach is the one I use. Virtually all my money is after-tax. I use Roth IRAs, Roth 401k, real estate, and taxable accounts. I essentially pre-pay the tax expense now. 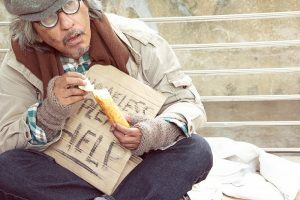 I think it will save me money in the long run, but even if not – my expenses will be more predictable and consistent with the tax factor eliminated. Appreciate your use of after tax dollars as your primary vehicle, Wealthy Doc. Gasem is in the midst of Major Roth conversions to accomplish the same end. I’ve worked alongside doctors Dolor, Calor and Rubor and thought you’re examples instructive and revealing. Enjoy your writing, my friend, and glad to see you at it with vigor! Crispy Doc recently posted…I’m On Episode 17 of the What’s Up Next Podcast! I’m glad this resonated with you. Otar is a true genius. His 500-page book is amazingly detailed. I tried to make the takehome points clear and practical to physicians. It sounds like a succeeded at least to some extent. Taxes are hugely important both in working years and after. I just think it is clearer to remove them from these kinds of models. The numbers work directly for me since my money is after-tax. People with tax-deferred accounts can still use these tables. They will just adjust either their spending figures or their portfolio amount based on their effective tax rate. See my other comment for an example with a 30% tax rate. Definitely need to take into account passive income, such as social security and real estate income. Might be better to use the difference between your passive income and your spending as the annual spending number. That is the amount your portfolio will need to make up. For me, if I leave those out and just look at spending and retirement plan, I get a SM of 20. But after I take into account that my other passive income exceeds my expenses and the amount my portfolio needs to make up is zero, my SM become infinite. That makes a big difference. I love this way to think about what is enough. I think it belongs in this weeks Fawcett’s Favorites on Monday. Yes, those are good points. Your actual spending need is a better measure and that may be after another pension, social security, annuity income etc is figured in. The numbers in your case are fascinating. You are set no matter what. Especially since you are still writing, coaching, and earning. We are in the GREEN ZONE unless my wife decides she wants another horse which puts us right into the RED ZONE. If you think kids are expensive get some horses! The Green Zone is rare, especially among physicians. Congratulations! I have heard that about horses. Although my son eats as much as a horse, we don’t have one. I know a neurosurgeon who has a few horses instead of kids. Not a cost-saving measure I hear. Maybe try switching away from organic oats and massages for the horse. Great post as usual. Glad it was featured in POFs Sunday best. I missed it originally. Hey thanks for stopping by, Hatton1. I don’t think I’ve heard from you in a while.